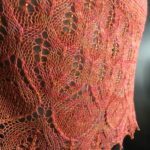 The Spring Fiber Frolic is March 18, 2017 in Sherman Oaks, CA! These are the class descriptions. This page will be continuously updated with the schedule and more classes. You must be registered for the event to sign up for classes. 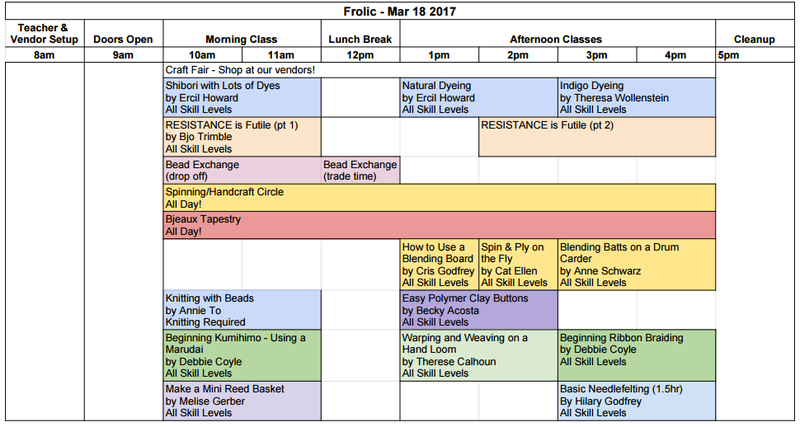 Learn more about the Spring Fiber Frolic or Register right away – the $40 fee includes all classes and lunch! OFFICIAL ANNOUNCEMENT 3/3/17 10:40am: I am closing the wait list for the Natural Dyeing and Indigo Dyeing classes. 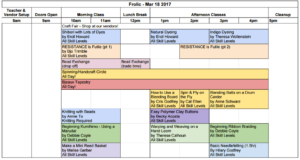 If you have not yet registered for the Frolic, you cannot sign up for these two classes. if you have registered but have not signed up for classes, you will be able to sign up on the waitlist. There IS also dyeing during Shibori at 10a and the latter half of the RESISTANCE is Futile (cold resist on fabric) classes. I apologize for any inconvenience this causes! If you’re interested in learning how to use natural dyes, I can bring a dye class to you, your local guild, your yarn shop, or anywhere! Bring your wheel or spindles and spin! Practice, learn, or teach. Try out other wheels and spindles. We need to finish it! 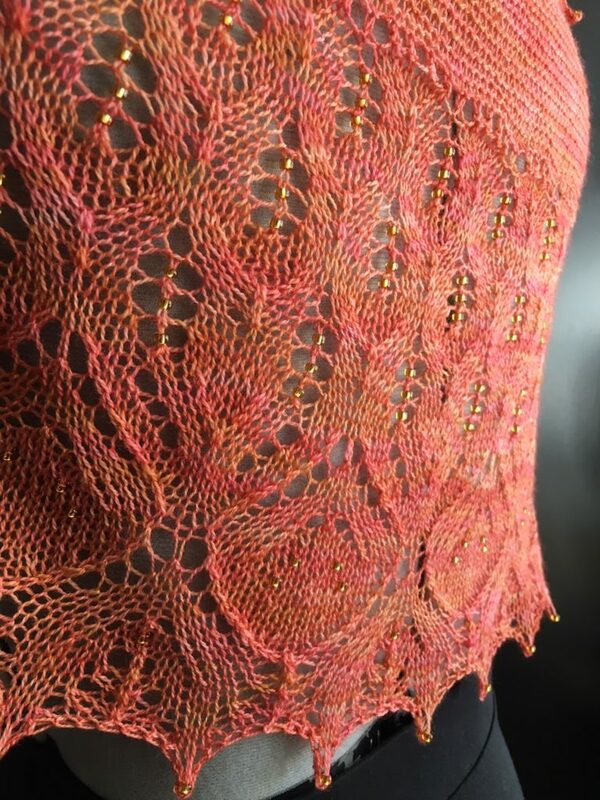 Come add some stitches to our epic needlework masterpiece, showing all the parts of fiber production and embroidered in handspun, naturally dyed threads. Beads are bagged on site or in advance according to an example and every bag will earn one ticket. Beads will be collected up until the beginning of the lunch break (12p). The exchange will take place during the lunch break. For each ticket a bag with a bead can be ‘purchased’. Beads not ‘purchased’ can either be collected by the original owner or left for others if they just want them gone. All types of beads welcome! Pony, seed, glass, handmade, whatever, plus jewelry intended for dismantling Example- a large focal bead would = 1 ticket, a broken necklace=1 ticket, a tube of seed beads=1 ticket, etc. This is for fun and the spirit of exchange! 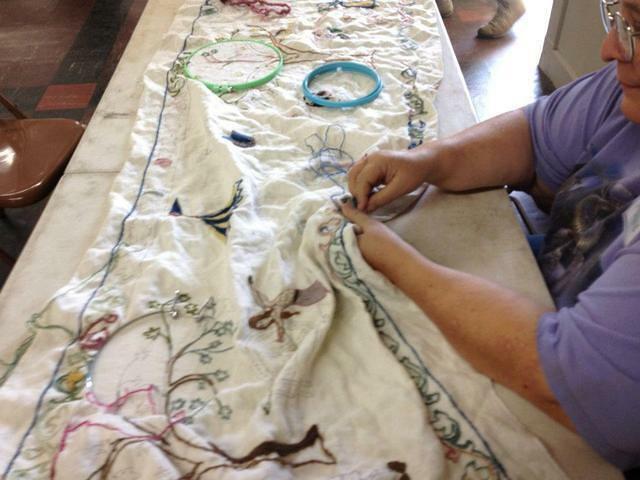 Bring your languishing projects, supplies, or patterns from crafts done long ago – someone else can take them away! Please leave a monetary donation in our “Scholarsheep” bank if you find a treasure – all money goes towards funding a scholarship for our annual retreat! Bring: Pen and Paper can be useful. 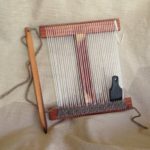 A loom and tools if you have them. 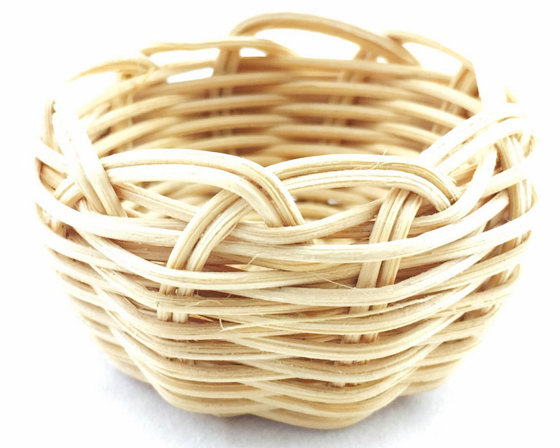 Learn the basics of Cherokee-style basket making by making this mini basket. 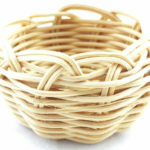 Skills taught include working with basket reeds, lashing, weaving and finishing a basket. Try different types of resists with bands, clamps, threads, wooden blocks, rocks, and more! 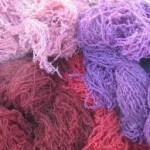 Dyepots with several natural dyes will be available for different color options. 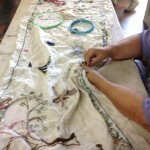 Bring: Fabric (scarves, handkerchiefs, samples – not yardage! ); roving, yarn, clothing to dye. Everything should be washed (not new). 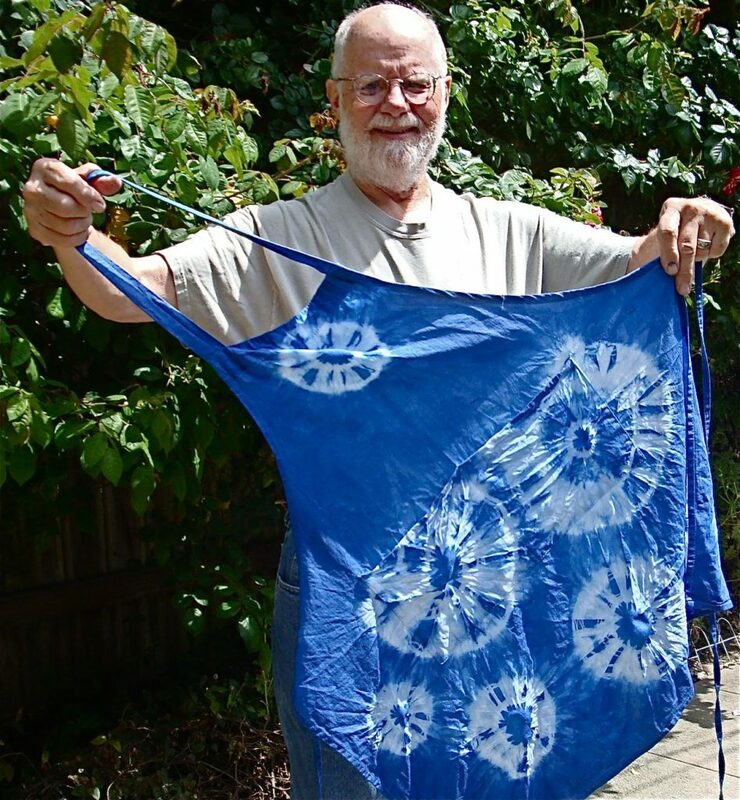 Silk Scarves and Hemp Hankies will be available for purchase from Griffin Dyeworks. An apron, a black sharpie, & a notebook, are helpful to have but not required. 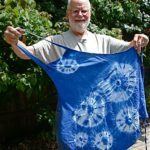 Open Natural Dyeing by Ercil Howard – FULL! NO MORE WAITLIST! Surprise pots! What will we have? 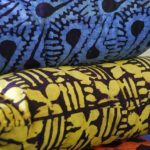 Bring: Fabric (scarves, handkerchiefs, samples – not yardage! ); roving, yarn, clothing to dye. Everything should be washed (not new). 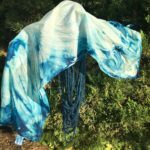 Silk Scarves and Hemp Hankies will be available for purchase from Griffin Dyeworks. An apron, a black sharpie, & a notebook are helpful to have but not required. Indigo Dyeing FULL! NO MORE WAITLIST! Indigo Crystals! Great on cotton, silk, and wool. The bluest blue to ever blue. Overdye your yellow and red items to green and purple! Learn to make your own buttons out of polymer clay to match all of your creations. No previous polymer clay experience needed. All skill levels. Clay, pasta machines, cutters, rollers, mica, glitter, and oven provided. Pieces may need 30 minutes to cure, or take them home to bake them yourself. 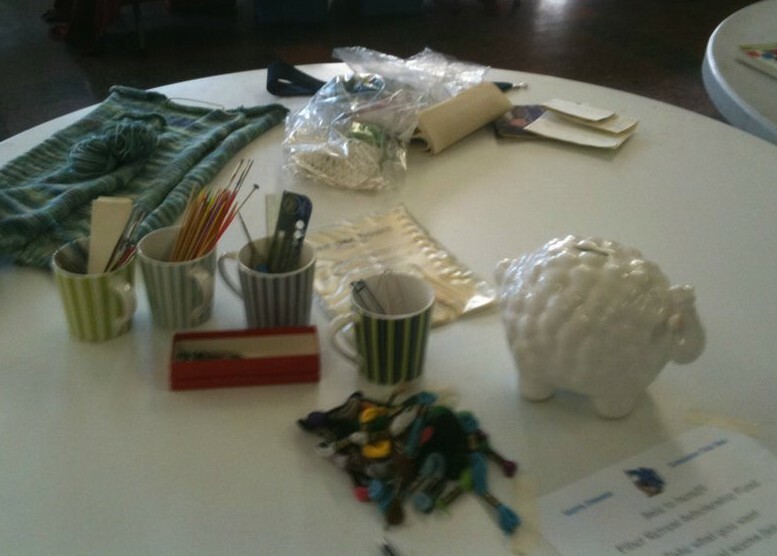 Bring – optional: Clay tools, pasta machines, a container to keep your items in for transport. Learn how to braid ribbon bands. They are fun and easy to make! They’re great for bookmarks, trim, headbands, bracelets, and more! We’ll cover making the braid using 1 and then 2 ribbons.No experience at anything is required! Come on in and learn (or remember) this fun and simple craft! Everything required will be provided. Learn how to do Kumihimo (Japanese braiding) on a Marudai braiding stand! It’s the same technique as on the handheld cards, but more elegant and faster! The Kumihimo cord is useful for drawstrings, trim, ribbon, bracelets, shoe laces, and more. 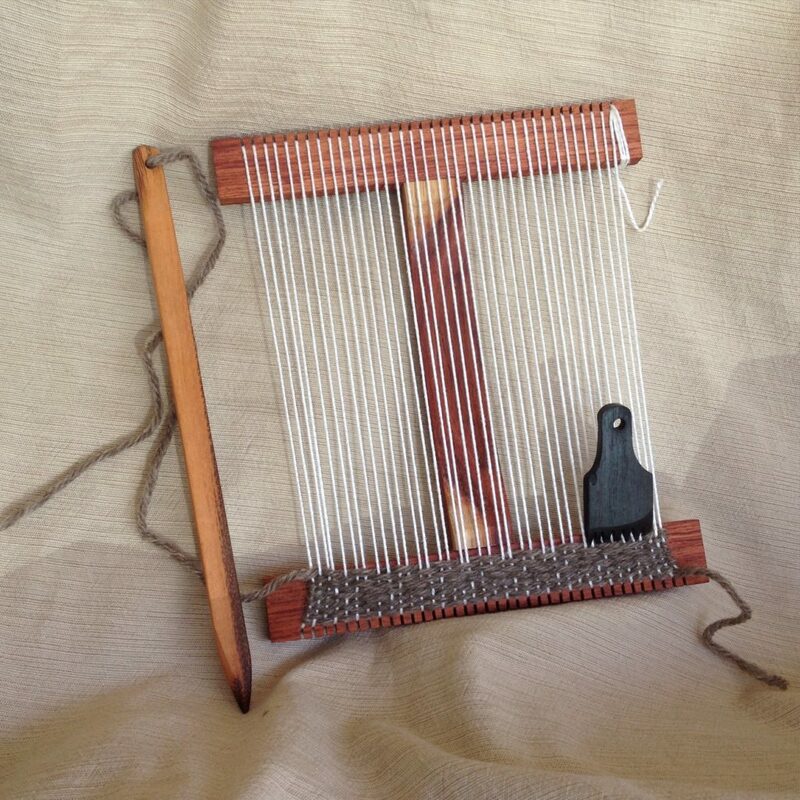 For beginning kumihimo braiders, or for experienced disk kumihimo braiders who are beginning marudai users. 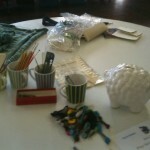 A Cardboard Marudai (braiding stand), bobbins, yarn, handouts, and weights will all be provided. 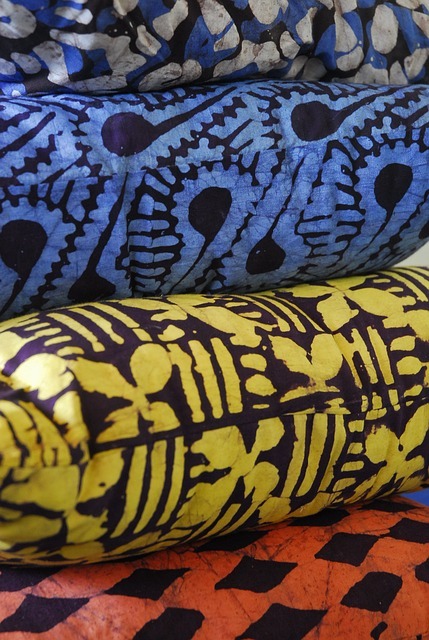 Batik is a famous resist techniques, but it is done with very hot melted wax and takes a long time to remove. We’ll create designs on dyed fabric and interesting paper with cold resists: flour, rice paste, Elmer’s gel glue, starch, sugar, etc. Dyes and paints can be added to the design if desired. Results can be delightful and surprising. This will be a messy class, guaranteed. No skills required. In this class we’re going to make batts on a drum carder. Batts are a carded fiber preparation for spinning yarn, but this class is less focused on carding raw wool, and more about blending different fibers for color and texture. I’ll bring a variety of materials to play with, from dyed wool and other fibers, to add-ins like silk noil, sari silk, sparkly materials, dyed locks and more! 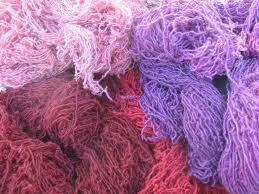 We’ll talk about how the characteristics of these different elements affect the resulting yarn. Drum carders provided for use in class. Fiber for your batts will be provided and you will have a 1-2 oz batt to take home with you. There are no prerequisite skills, I will bring/borrow a few drum carders for us to use. The class will be most useful to spinners. 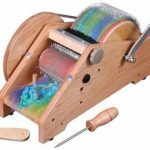 Bring: If you have a drum carder you want help learning how to use, or some particular fiber you want to try using in a batt, bring it along. Otherwise you do not need to bring anything. Students must be able to do basic knitting and purling. Some beads, floss, and yarn will be provided and some crochet hooks will be available for use during the class. 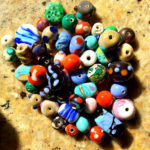 Bring: Size 6 or size 8 seed beads if you have them in your stash or other beads (hole must be at least 2mm wide), a small crochet hook that fits in your beads, any desired yarn and appropriate knitting needles for practicing. Learn to use a blending board to blend fibers. This is a simple, easy method to create custom rolags! Learn the basics of needle felting while making a cute little animal (probably a sheep)! 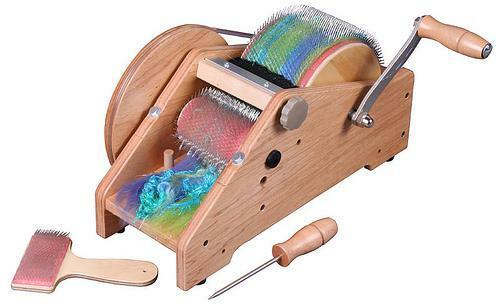 Plying-on-the-Fly — This looks like magic. You start out with unspun fiber and just one drop spindle. You end up with a spindle filled with three-ply yarn. 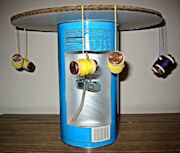 Learn how to spin and ply-on-the-fly on a Drop Spindle. Basic spinning skills are required for this class.